Welcome to the frozen wastleland of Arrowhead Island. Located in the Canadian Northwest Passage, the island is in complete isolation. Despite this, Arrowhead is littered with factory buildings, long since abandoned. 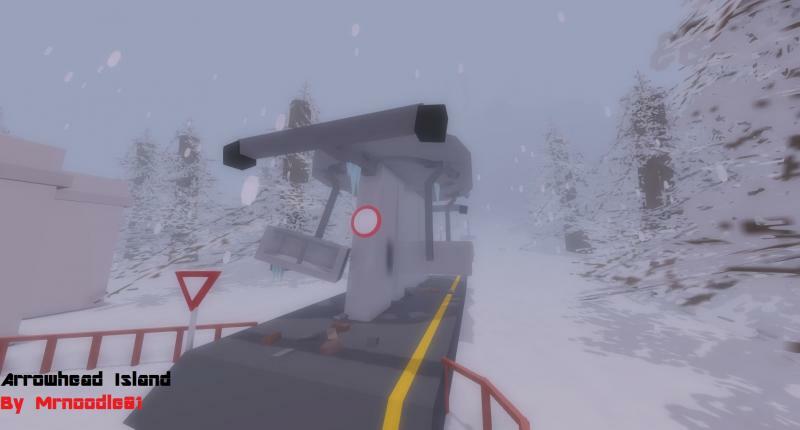 Since your plane has crashed, you must survive the harsh elements, as well as zombies. 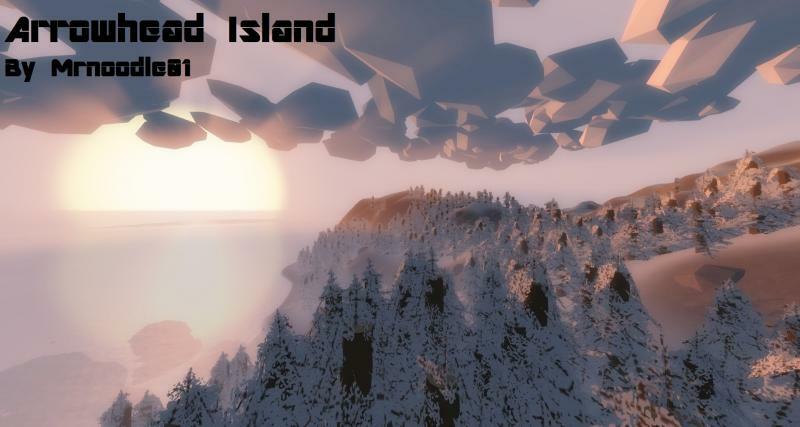 | Arrowhead Island offers a unique experience for Unturned. 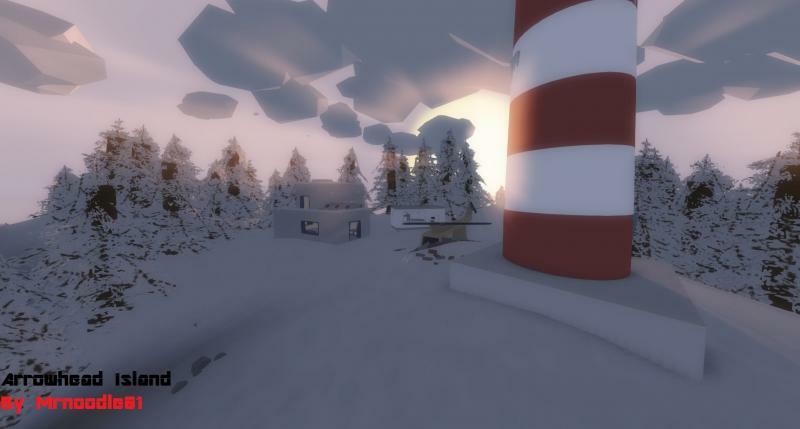 With a beautiful frozen terrain, stunning day/night cycles, fully detailed and numerous locations, full loot tables, and hunting and fishing elements, Arrowhead is one of the most immersive maps for Unturned. 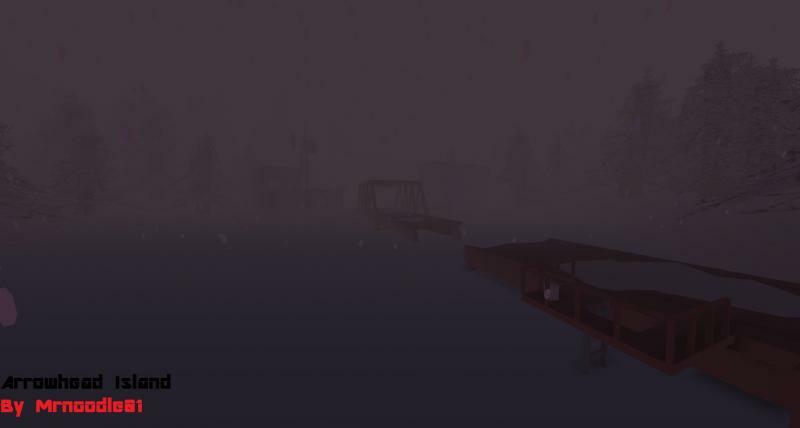 Don't get lost, and have fun survivors! Note: Arrowhead Island requires Fiff's Objects, make sure you have it! Check out my other great maps! Make sure to rate and favorite Arrowhead Island! Yep as of now :) All updated!